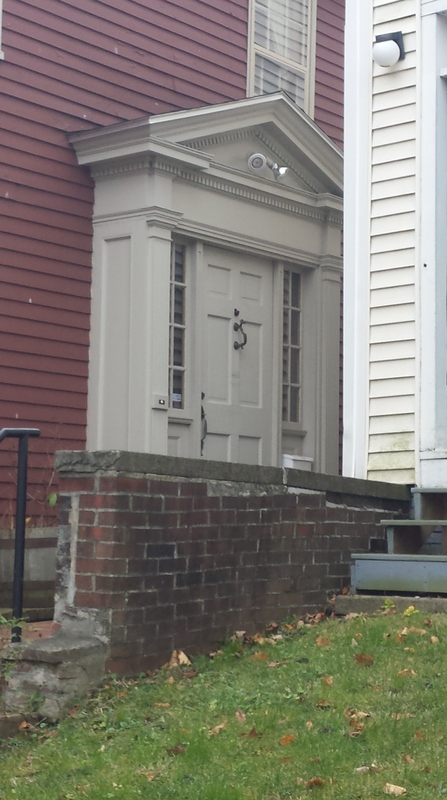 Built around 1800, our subject shows some signs of the relatively new Federal style in the fanned and side lit door along with the rigidly symmetrical layout. It also shows a hint of the older Georgian/Colonial style in it’s balance of wall to window and the verticality of the facades. The exterior, although completely redone with modern materials, retains much of the character that the Federal Style in wood would become known for. Thin moldings and corner boards framed the windows and walls. 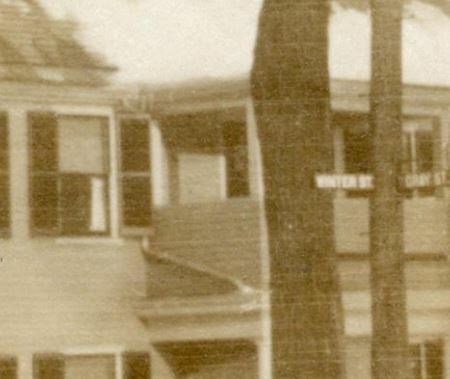 I suspect the exposure on the clapboards would have been wider than the current, modern, claps on the building. The more traditional exposure can be seen in this photo of the entry at 82 High Street which was built at about the same time. We will see 82 High again further on. The windows and door seem to be original although the dimensions of the window above the door seem a bit odd. It’s rather tall for it’s width. 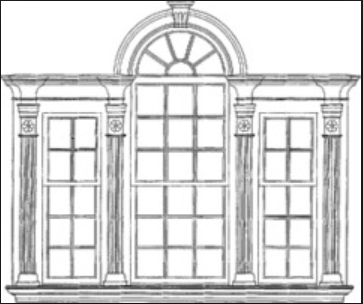 Perhaps it was a palladian window. They were quite popular in the era. I am not inclined to think this was a palladian window. Normally they would be seen on the same base line as the other windows on the same story. Also, given the state of preservation, I would be surprised if the window had been replaced by something so out of proportion. A look at the 1924 tax records provides the answer. It isn’t easy to see behind the trees so here is an enlarged view. Seems the house had a covered entry with second story porch. At some point it was removed and the door way rather haphazardly filled in. The house has always been listed as a single family home although I think #15 may be a rental unit. Note the barn at the far right of the tax photos. That space is now parking. 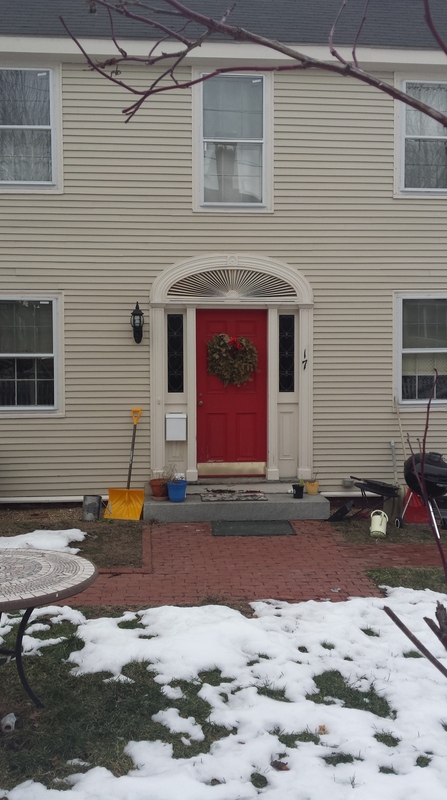 Also of interest is the second story door to no where in the gable end of 15 Winter. 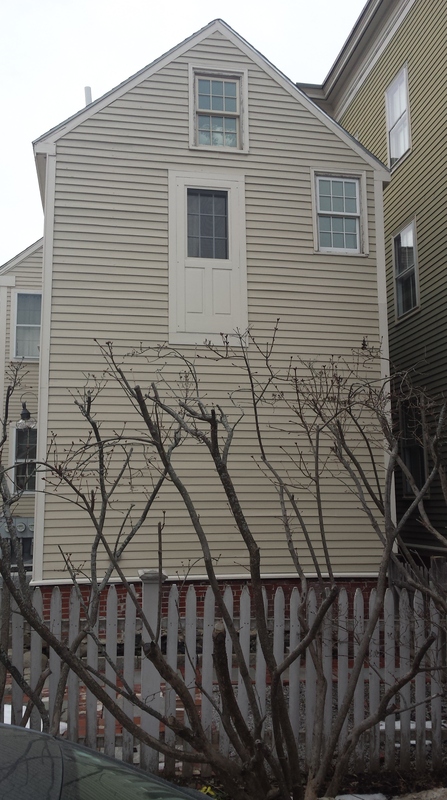 An exterior stairway perhaps? This property relates to 82 High Street in it’s lot. Both sit at the back of their lot facing the street with a generous yard. 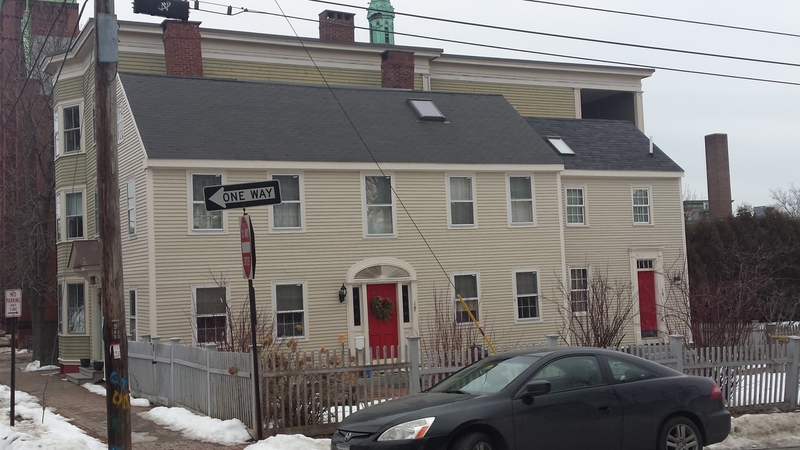 Both present a gabled end to the narrow end of their corner lots. But, whereas our subject house has retained it’s lawn, the front yard of 82 High was soon sold and built on leaving an awkward entry behind. Current tax rolls show 15-17 Winter valued at $345,000.00. The 1924 owner was shown as Elias Thomas. Valuation was $3752.00. It is interesting to note that in 1924 the house had gas and electric lighting . Elias was a grocer and a member of the Thomas family of Portland. Their roles and influences on Portland are worthy of a whole article which will be coming in the future. The house remained in the Thomas family until 1966 when it began a 40+ year period of frequent changes in ownership.